The EOS R system is built for imagemakers who demand high-performance capture, a full-frame sensor and excellent ergonomics. A 54mm diameter lens mount enables RF lenses to have large rear elements, while a mirrorless design brings them closer to the sensor for bright, sharp and compact lens designs. A 12 pin electronic connection delivers fast communication between the camera and the lens, facilitating a versatile and powerful system. Plus, with a variety of mount adapter options, it’s easy to incorporate your EOS R system into an EOS system and expand your creative opportunities. The EOS R camera features a 35mm full-frame CMOS sensor with approx. 30.3 effective megapixels for stunning results with incredible detail and clarity, even in low-light situations. It’s powered by the DIGIC 8 Image Processor, which enables an expansive ISO range, enhances Image Stabilization and turbocharges operations across the board for outstanding image quality and impressive performance. Designed to take advantage of everything the RF mount has to offer, RF lenses represent a new frontier in lens design for mirrorless cameras. With a large 54mm lens mount, large diameter elements to match and placement closer to the image plane, RF lenses provide brilliant image quality edge-to-edge with minimal light fallout, enabling new possibilities for enhanced optics and compact designs. 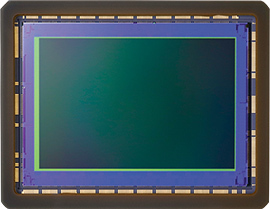 A supercharged 12 pin communication system optimizes data transfer between camera and lens for sharp, stable and responsive performance in a wide variety of applications. Delivering features and performance engineered to astound, RF optics herald a new day in Canon’s legacy of optical brilliance. 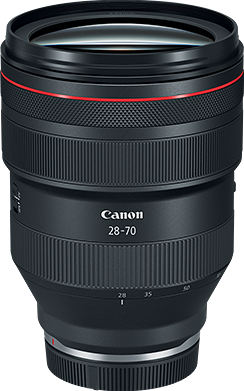 The RF 28–70mm F2 L USM features a maximum aperture of f/2, offering unparalleled performance throughout its zoom range. With L series optics, it offers the flexibility and performance of a handful of fixed focal length lenses, delivering superlative performance from 28–70mm. Ziggy note: I'll be honest, this is the particular part of the Canon mirrorless system that peaks my interest, an f2 standard zoom lens. Compared to the initial "Z" offering from Nikon, the f4, 24-70mm, the Canon lens collects 4-times as much light. With the claimed AF sensitivity in low light in as little as EV-6 using f1.2 lenses, that might translate into an EV-5-ish sensitivity for f2 lenses, like the RF 28–70mm F2 L USM. 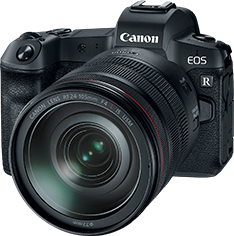 ... Canon has joined the full-frame mirrorless club with its new RF-mount system, with the first camera being the EOS R.
The EOS R features a 30.3 effective Megapixel CMOS sensor and a DIGIC 8 processor. It uses RF-mount lenses - four of which will be available at launch - with support for both EF and EF-S lenses via one of three optional adapters. Dual Pixel AF is onboard, with a whopping 5,655 selectable points with 88% vertical and 100% horizontal coverage, plus the ability to focus down to -6EV. The camera has a native ISO range of 100-40,000 that expands to 50-102,400. The EOS R supports both Canon's 14-bit CRW Raw format as well as the relatively new C-Raw, which offers much smaller file sizes. The fastest shutter speed available is 1/8000 sec, with an X-sync speed of 1/200 sec. There's a 'Silent LV Shooting mode' that takes advantage of the camera's electronic shutter. Design-wise, the EOS R is an SLR-style camera with a weather-sealed magnesium alloy body. It offers an electronic viewfinder with a resolution of 3.69 million dots, a magnification of 0.76x and a 23mm eyepoint. Its fully articulating 3.2" LCD is touch-enabled and has 2.1 million dots. A customizable touchpad to the right of the viewfinder allows for quickly changing ISO, white balance, movie shooting and more. Canon users will be able to commiserate with Nikon owners as, like that company's new Z-series cameras, the EOS R offers just one memory card slot, which supports UHS-II media. The camera has HDMI, USB-C, wired remote, headphone and microphone sockets. Wi-Fi and Bluetooth are built-in. Performance-wise, the EOS R can shoot continuously at 8 fps in AF-S and 5 fps in AF-C 'shooting speed priority' mode. If you want to use 'tracking priority' mode in AF-C the frame rate drops to just 3 fps. The buffer is quite healthy, though, with the ability to save 47 Raw, 78 C-Raw or 100 JPEGs when shooting at full speed with a UHS-II card. It uses the familiar LP-E6N battery pack which allows for 370 shots per charge using the LCD (per CIPA standard) or 350 with the EVF. (Power save modes boost those numbers to 450 and 430, respectively.) The optional BG-E22 grip fills the battery slot but has room for two batteries: this gives you twice the battery life. 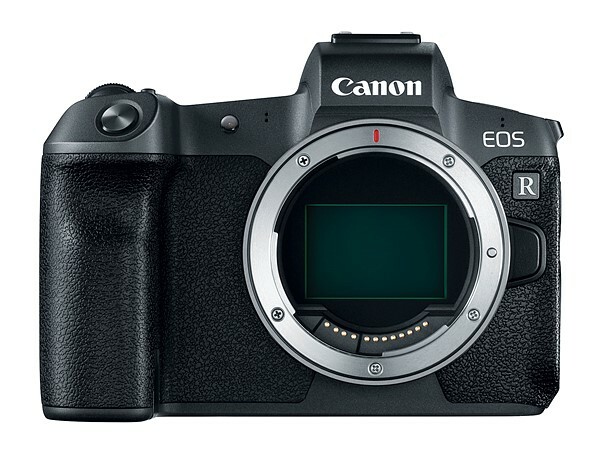 Canon has announced their first full frame mirrorless camera, the EOS R. Canon has also announced several new lenses to go along with the launch, calling this the launch of a "system" rather than just the launch of a new camera. 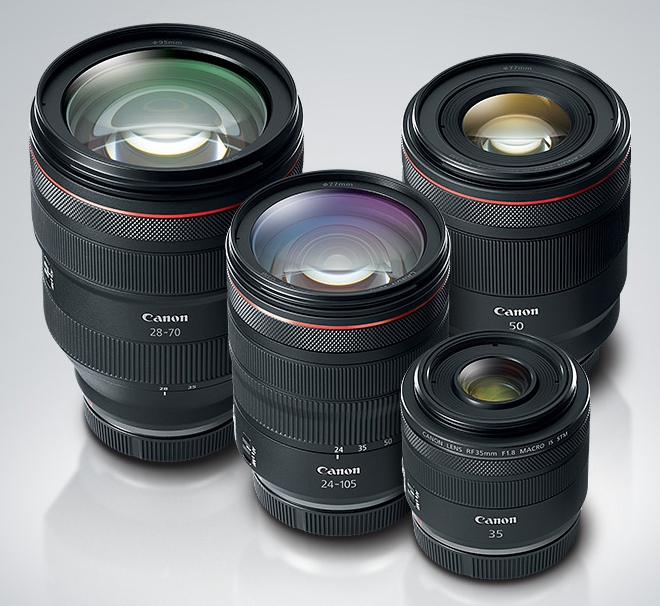 As such, Canon is launching the EOS R with three new RF-mount lenses: 24-70mm f/2 L, 35mm f/1.8 Macro STM, 50mm f/1.2 L and the 24-105mm f/4 L.
Additionally, Canon has announced three different lens adapters (regular lens adapter, the addition of a control ring, and and adapter with drop-in filter functionality) to make the new EOS R compatible with all current EF lenses with, what Canon promises, no loss in performance but in some cases increases in performance. 30.3 megapixel full frame sensor. This is the same sensor as the 5D Mark IV, repurposed for this camera. Offers Eye AF, but it only works in single shot mode and must refocus between shots. As is the case with the 5D Mark IV, 4K video has a 1.7x crop factor. When the camera is switched off, the shutter closes and shields the sensor from dust if/when you change lenses. The Canon EOS R will retail for $2299 body only, and $3399 with the 24-105mm f/4 kit. 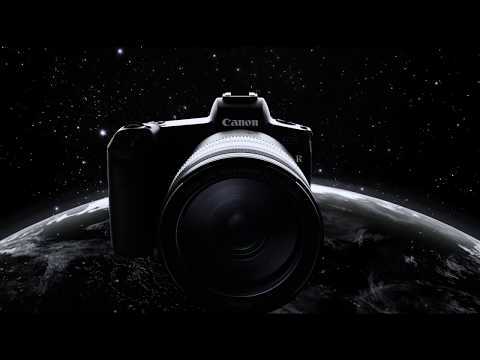 Does it allow the use of Canon radio controlled flash system, inquiring minds want to know?? Apparently the R body is only the first of three or four new bodies with varying directions - one wonders if one will have IBIS and more card slots. I agree, that the AF specifications sound truly awesome. I'm pretty sure there will be more information coming about usage scenarios and caveats. Rudy netioned similarities to the 5D Mark IV, and user reports of that camera's seals and weather resistance tend to be good. 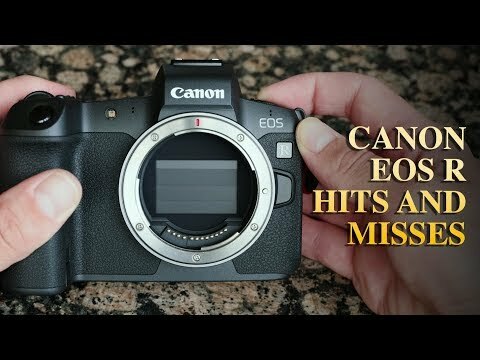 I probably would not recommend this Canon EOS R Mirrorless for wedding/event paying work, unless it was coupled with a second body to use as a backup, just in case. Luck favors those who are prepared. Fortunately, Canon will offer a vertical grip which houses 2 - batteries to yield twice the number of shots, as well as a second shutter button with control wheel too. As long as it allows changing the batteries while your rig is attached to a tripod, it should be a popular option. Have not found either written or video information that is conclusive about the flash interface capabilities. Seeing-eye camera. I like it! I suspect that IBIS is coming for the "professional" body. This first body (Advanced Enthusiast/Prosumer) does have its own motion sensors to help with lens IS, so part of the system is already there! "I suspect that IBIS is coming for the "professional" body. This first body (Advanced Enthusiast/Prosumer) does have its own motion sensors to help with lens IS, so part of the system is already there!" That is encouraging, I agree. I wonder how hard it would be for Canon to design a second memory card into the external battery grip - That way no increase in the size of the camera body, but those who want/need the safety of two cards, could have them. I wonder if there was any thought given to that. It is strange, SD cards really don't take that much room. Or they could have added a Micro- SD slot - they REALLY don't require much room. But if you drop one, you might inhale it. I looked for the diameter of the lens mount on the Nikon Z 7 but can't seem to turn it up very quickly - Is it smaller, larger or the same size as the 54 mm Canon R mount? I don't think that anyone has used a tethered cable/cord to a remote card location, but I doubt that it's practical. Card writing and reading generally requires a metal compartment which is both shielded and grounded in order to prevent the high-frequencies from affecting other circuits in the camera. Indeed, with CF cards, if a grounding pin were damaged the card turns into a transmitter and can affect the subsequent file writing. With SD cards, they use contact strips for reading/writing. and if the plastic barriers between the contacts of the card are damaged the card can in turn damage the contact strips physically and/or cause a short-circuit which can damage the card electrically or even damage the read/write circuits in the camera. 1) Add a second controller for the second card, and the controller would need to be specifically designed with an arbitration circuit to handle the needs of each card separately before turning control back to the image processor. 2) Add a special circuit which uses a single controller but 2 - write cycles per image, alternating between cards, before returning control back to the image processor. This retains a bit simpler mechanism, but at least doubles the time for writing. Again, you need to add this extra capability during the design of the camera. The electronics required can't be just slapped in there and expect it to work. Signal timings and file delivery are a very carefully orchestrated series of events. The Canon EF camera mount specifies 54mm inner diameter on the camera, and that dates back to 1987. 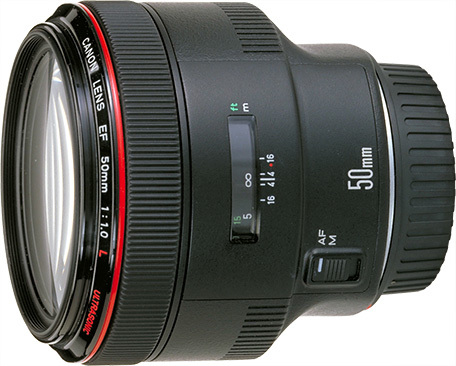 Remember that Canon also had an EF 50mm, f1.0L USM in the past. 54mm seems not to be a limitation. 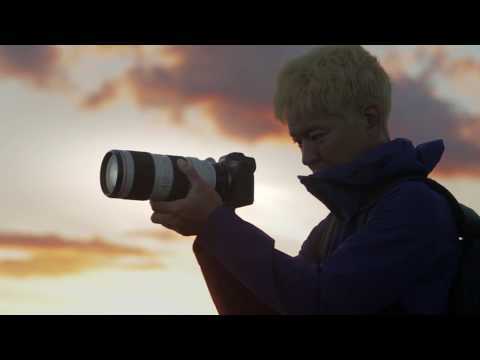 Now what is the diameter of the new Nikon Z7 lens mount? 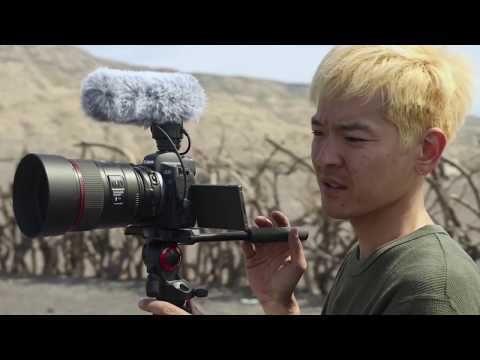 Same as the Canon, or bigger or smaller? Rats, you already asked that and I forgot to include the Nikon "Z" mount diameter, 55mm, in my haste. To recap for the sake of comparison, the 30-year-old Canon "EF" mount diameter of 54mm is bested by the Nikon "Z" mount diameter of 55mm. OK I wondered which was larger, but 54mm matches the older EF mount and has been adequate for a long time I guess, and allows compatibility with the olde EF lenses. Since the Canon Speedlite 600EX-RT is an EX speedlite, and the Speedlite Transmitter ST-E3-RT is the supporting trigger for the radio wireless flash system, I am hopeful that the new Canon EOS R system cameras fully support both of the radio wireless flash system components. 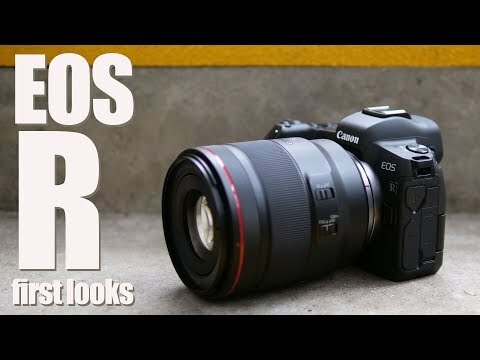 The hot-shoe atop the EOS R body also looks complete; another good sign. The EOS R System - White Paper is out and available, for viewing or download. 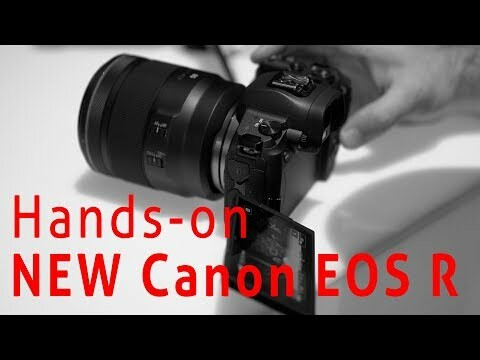 Significantly, it includes both a background of the Canon EOS system and reasoning behind the new mirrorless FF "R" system. There are also MTF charts for the new lenses, as well as comparative MTFs of current comparable EOS "EF" lenses. 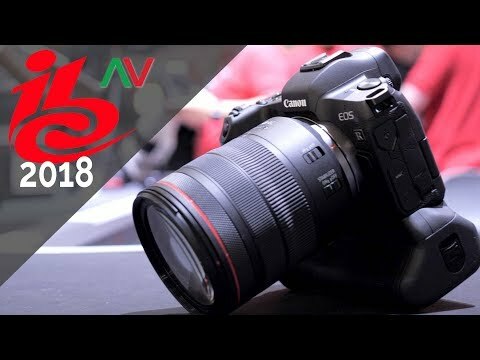 Bryan Carnathan has set of links available, comparing existing Canon EF based product information/specifications against the new R products' information/specifications. If they are planning on doing more bodies that go in different directions, then it would be nice if they would let us know. 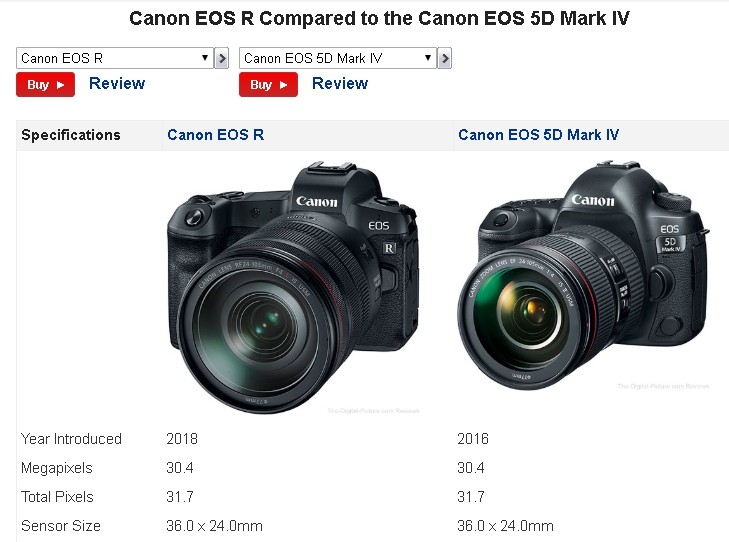 I'm still using my 5d Mark II because, frankly, Canon hasn't offered me anything 3500 euros better than it is (the 5Ds almost, but not quite). 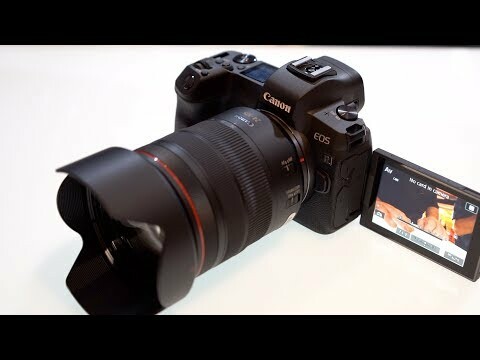 So what I am waiting for is a mirrorles 5Ds mkii, or something. I'm not really content to wait another 4 years for it, either. I still have my Canon 5D Mark II, but I admit that it's a backup body to the 5D Mark III, with its much improved autofocus. Still, the 5D Mark II has a sharper image out-of-camera than the 5D Mark III, due to a weaker AA/Low-pass filter. This makes the Mark II better for scenics, landscapes/cityscapes and architectural photography. This review has more of a video-centric tilt, but very professional in presentation. 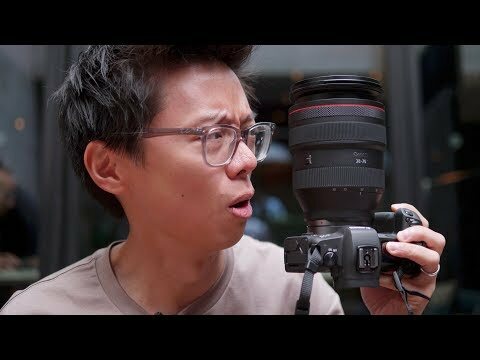 More detail regarding the 3-different EF lens adapters and their usage. Jared Polin posted some Canon EOS R RAW image files on his site, converted from CR3 to DNG so that they will open in many current RAW processing and editing applications. 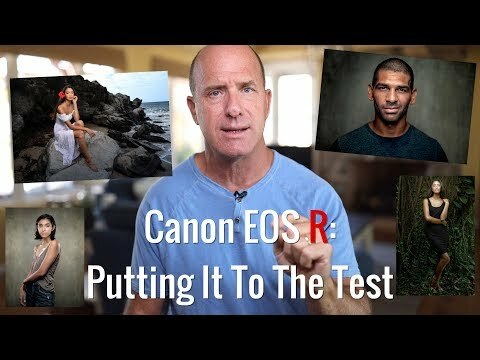 This is someone committing to the Canon EOS R system as an addition to Canon 5D Mark IV bodies. 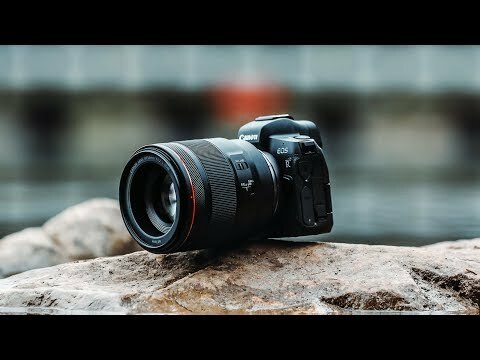 Canon EOS R - Why We Switched - Full Video Review! 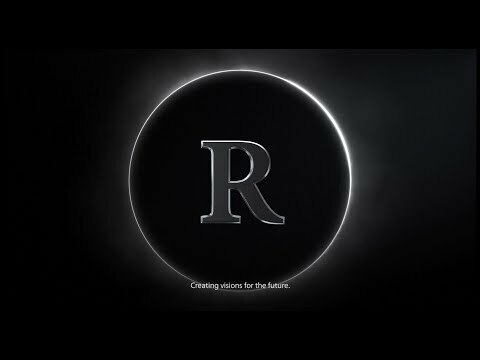 This video is the most compelling evidence for the new Canon EOS "R" system yet. Yeah, I see that the Canon 100-400 is f4.5 ->5.6 - I wrote that post as I was finishing my final packing for Greenland, so I was a bit distracted. If that's the only mistake I made, I think I did pretty good. I'd say better than 'pretty' is more accurate ... aren't the long Tamron / Sigma zooms 6.3 at the 'top' end? 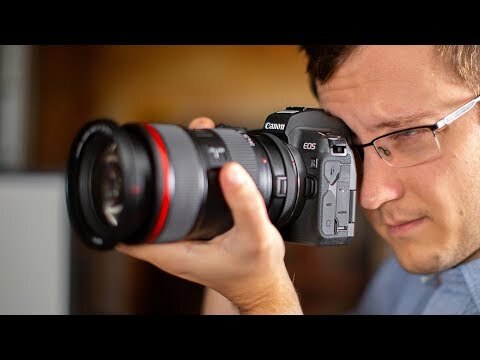 If the Canon R body will AF quickly with the EOS 100-400 + a 2X TC, that is pretty amazing, and potentially a very useful trick. But the high frame rate and buffer may limit its real world usefulness. I am interested to see the next shoe drop. Maybe this winter, hopefully. I think of this camera kind of like the 10D, a first step. Yes, the Tamron 150-600 is f6.3 at the long end, and it will be interesting to see how it performs with a 2X TC also. We’ll have to wait for someone besides Canon for that information though. 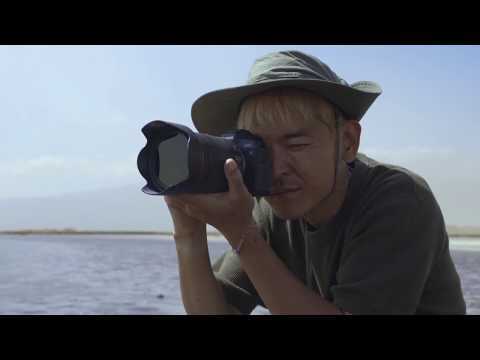 Join Cinematographer Hiro Matsuzaki as he documents his experience using Canon’s new EOS R system while venturing out on foot in Lake Natron, to capture the rift valley’s environmental beauty.